RUSH: News from congressional investigations. Two committees — Devin Nunes and Peter King had a live press conference before the program — announced that they will be investigating the Uranium One deal. The House Intelligence Committee is the main investigation. They’re working on getting the witness with the nondisclosure agreement released from it by Justice. This is FBI witness. And Trey Gowdy has announced he’s opening an investigation into the DOJ exoneration of Hillary Clinton! And the Republicans are trying to move tax reform fast with a luncheon up there between Trump and Corker. So things are moving out there. Jeff Sessions says he’s gonna find MS-13 and send ’em to the moon! RUSH: By the way, Sara Carter… You know, she used to share a byline with John Solomon at Circa News, and I think she’s still at Circa News. Solomon has moved on to TheHill.com. These two are uncovering things that nobody else in the mainstream media is even approaching. One of the things both (now under separate bylines) have been digging into is the collusion story involving American uranium, 20% of the stock ending up in Russia via collusion between the Clintons and their foundation, a Canadian broker, and Obama administration. I said yesterday, I think part of the reason for the Mueller investigation is to find out the dangers that reside in this investigation and maybe ignore them or cover them up. 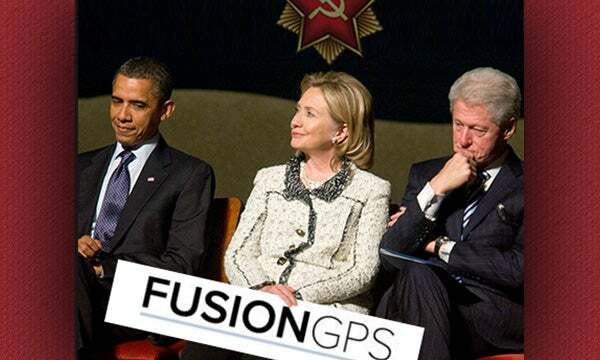 ‘Cause this is real collusion, and it involves the Clintons and Obama and the State Department. (I said Department of Justice. The State Department.) Hillary was secretary of state and American uranium supply… The Clintons were personally enriched (chuckles) along with the uranium. They ended up getting a lot of money personally, Clinton making speeches and the Clinton Crime Family Foundation. So the FBI has this witness that Congress wants to talk to. The FBI will not let him out of the nondisclosure agreement. Sara Carter said last night that this guy, this confidential informant witness has tapes (that would be audio), and that he has emails and phone calls with evidence that ties the Clintons to this uranium deal, that this guy’s got it. That’s why these two new investigations announced today by the House. They want to get to the bottom of this. Now, Hillary’s out there saying, like she says about Bill’s sexual harassment, “Well, that’s been litigated. That’s old news! You can’t talk about my husband the same way we’re talking about Trump ’cause that’s old news. Everybody knows about that.” No, no, no. Well, she’s trying to say the same thing about this: “Yeah, this uranium thing? That’s old news. 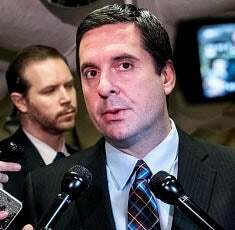 That was part of the campaign.” Now, Devin Nunes, who is the chairman of the Intelligence Committee along with Schiff — you know, Pencil Neck Schiff, the Democrat ranking member. I said, “It just depends on whether Jeff Sessions want to pursue it, because this is a DOJ matter.” I can’t… I don’t know why… You know, Sessions is making a big deal yesterday about going after the criminal gang MS-13, which, I mean, fine and dandy, but it struck me kind of crazy ’cause MS-13 has not been on the front page lately, not been on the radar. They’re a bad bunch, don’t misunderstand. But there’s nothing particularly… Well, nearly as politically relevant or hot potato as this uranium transfer with the Clintons and the Obama administration.